Summary : Professional GO (a.k.a. 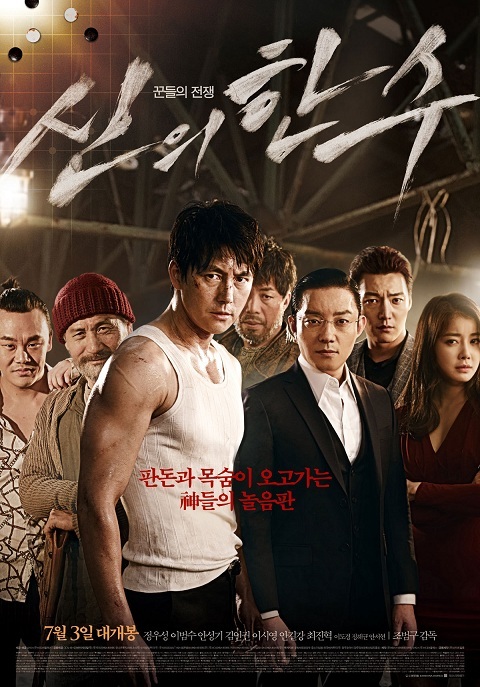 baduk) player Tae-seok loses a high-stakes game to infamous underground gambler Sal-soo, and ends up framed for the murder of his own brother and locked up in prison. He vows revenge and trains ferociously. After serving his seven-year sentence, he gets in touch with his brother’s former associate “Tricks,” hermit and blind master player “The Lord,” and skillful junkyard owner Mok-su; together, they begin formulating a plan to get back at Sal-soo and his men. Tae-seok slowly penetrates Sal-soo’s inner circle and his gambling joint, and eliminates Sal-soo’s men one by one. But Sal-soo discovers Tae-seok’s true identity and engages him in one final game that will seal the fates of the two men involved.